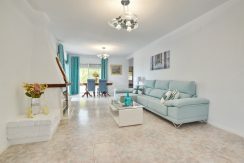 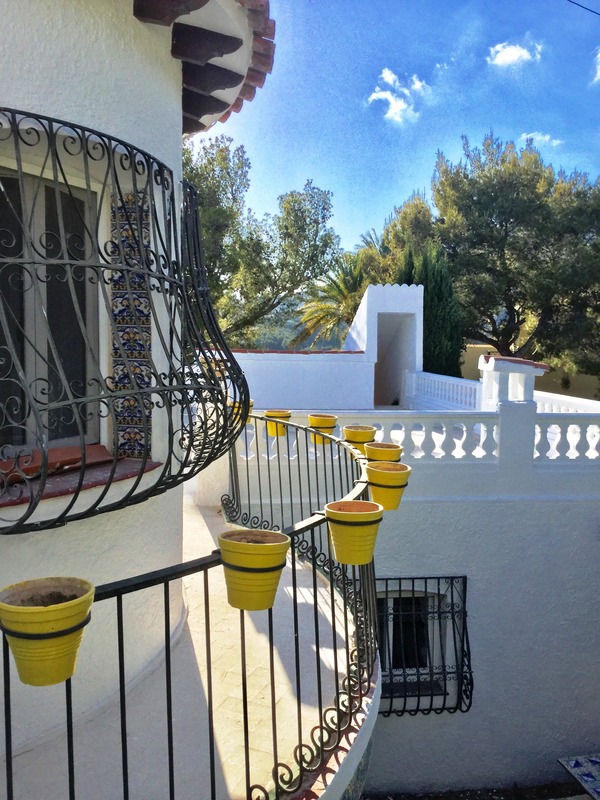 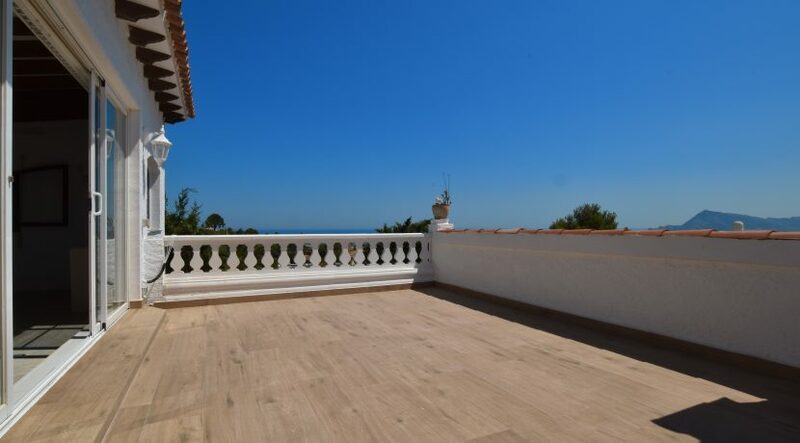 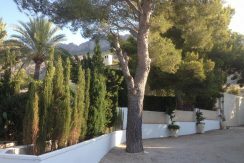 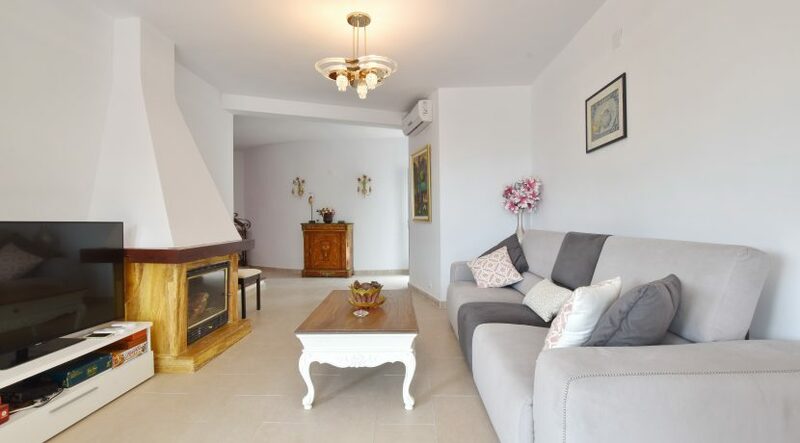 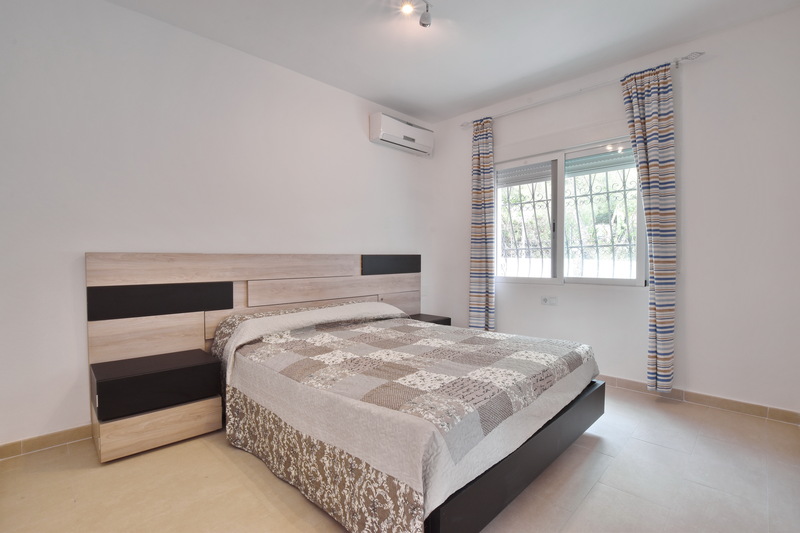 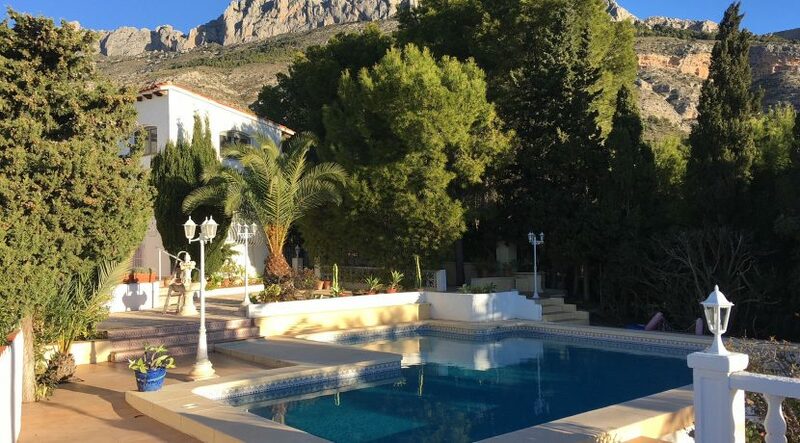 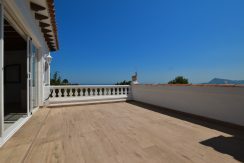 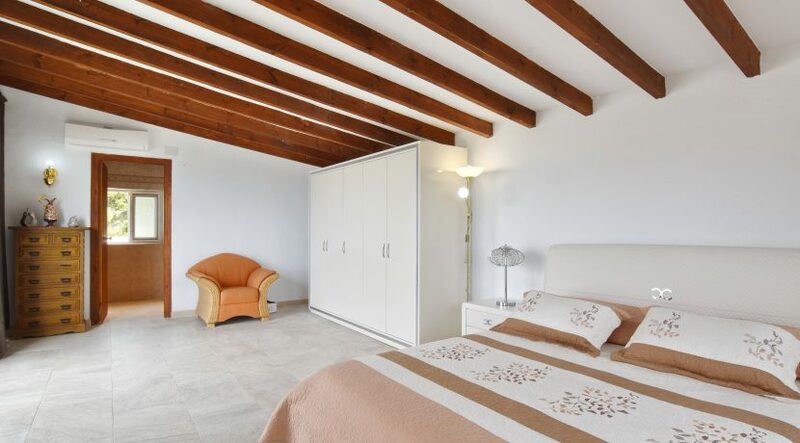 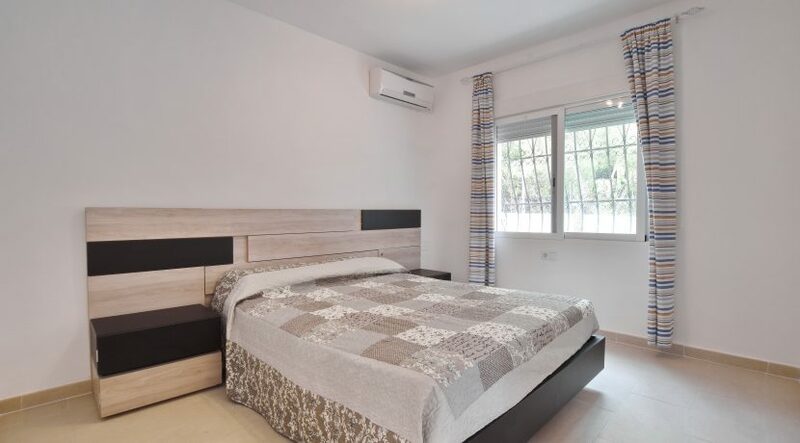 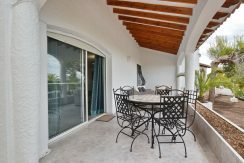 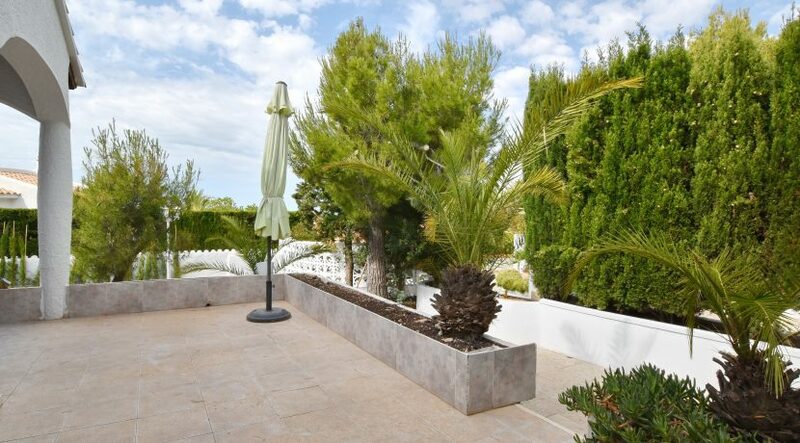 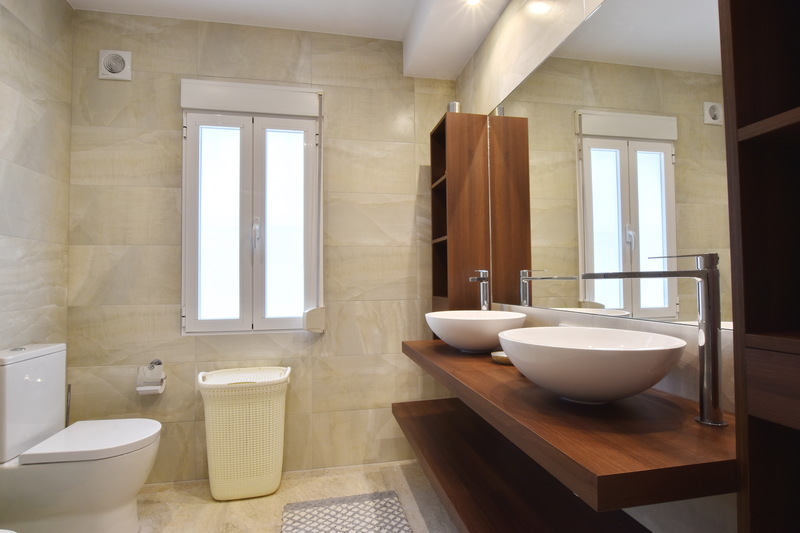 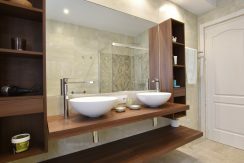 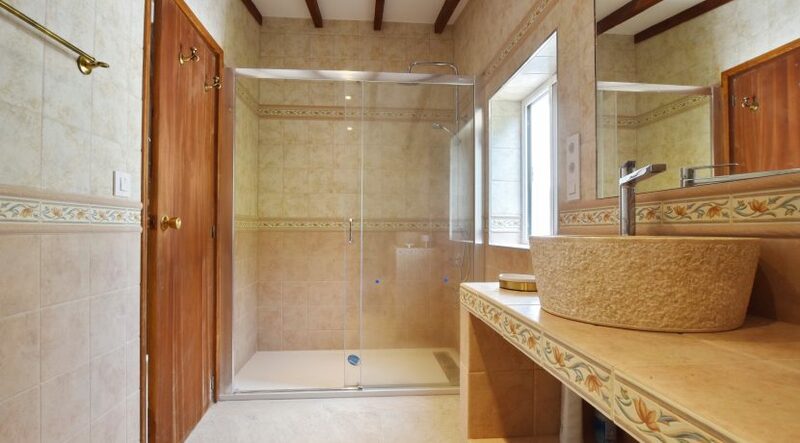 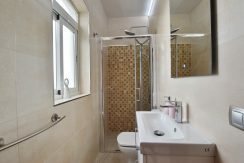 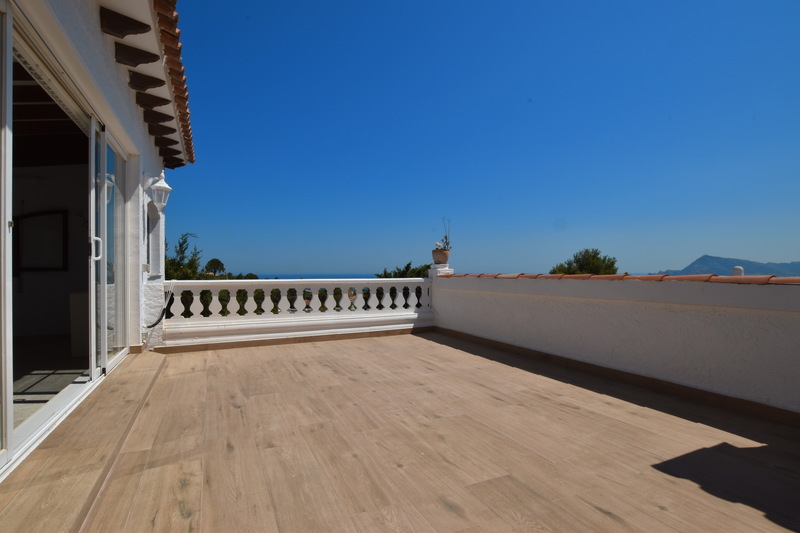 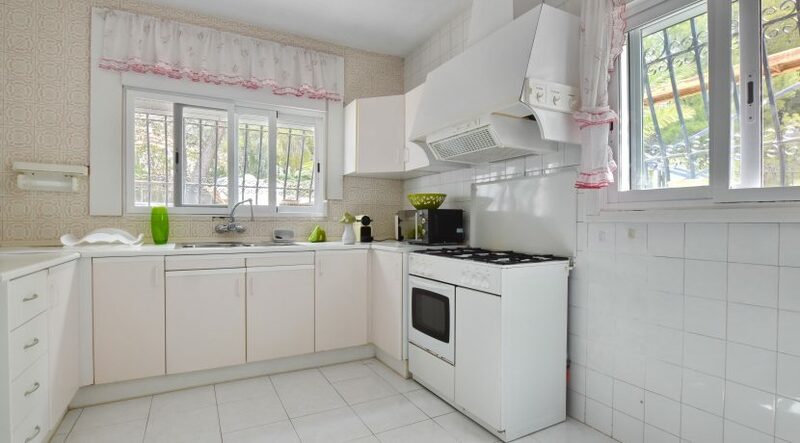 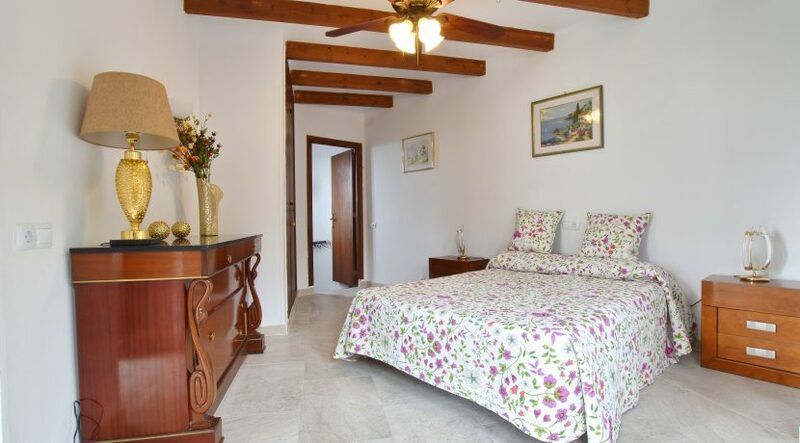 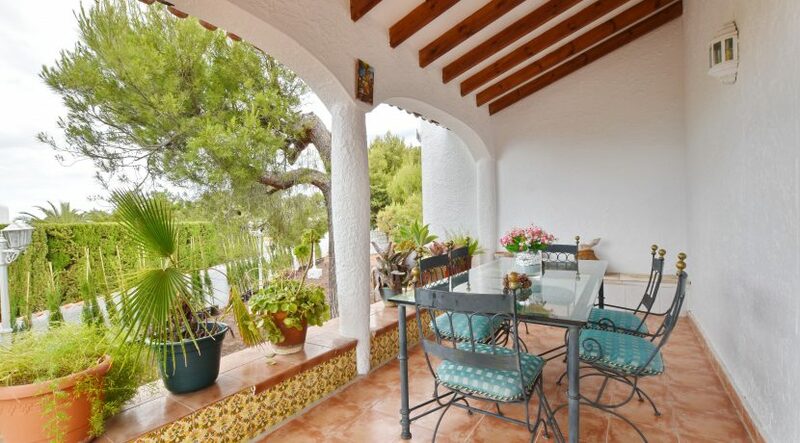 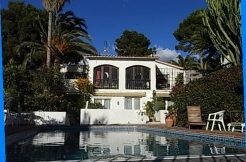 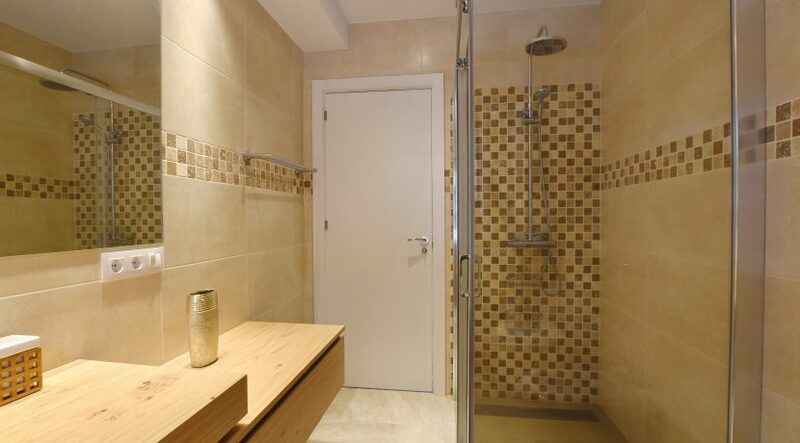 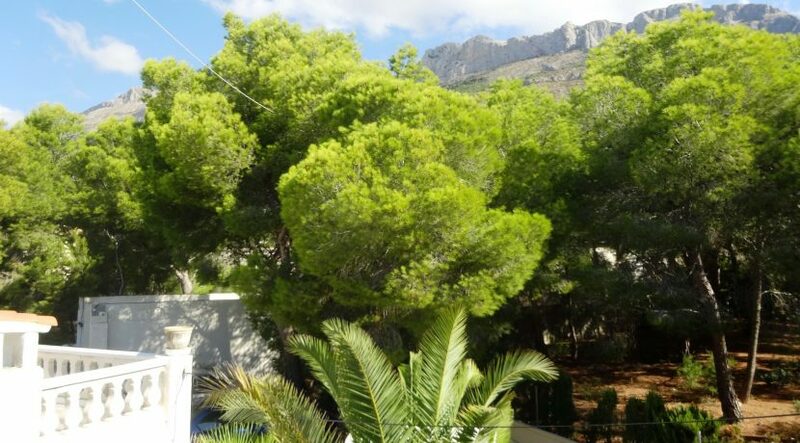 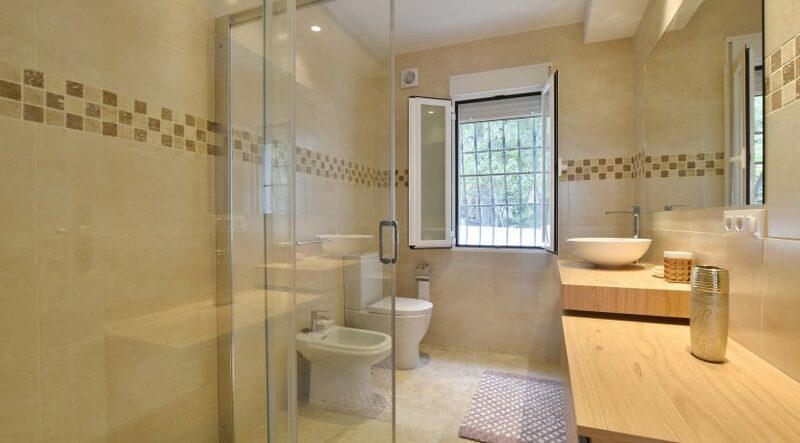 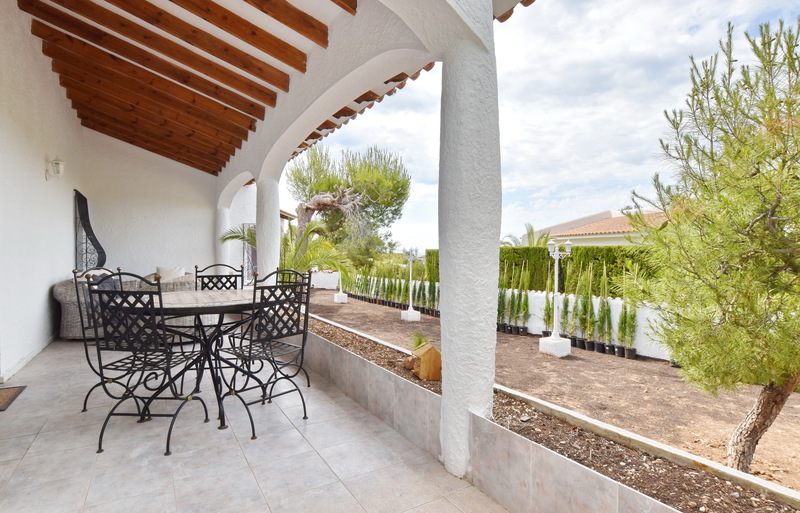 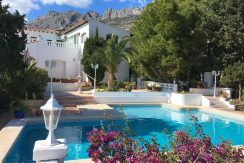 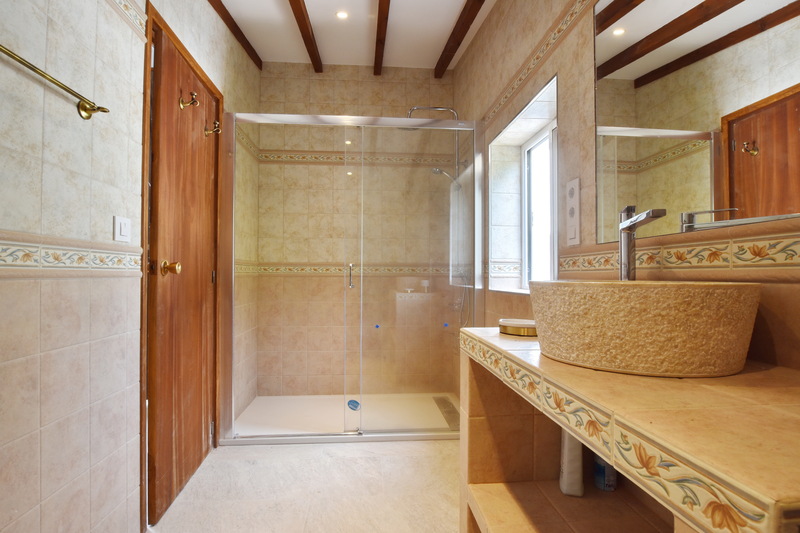 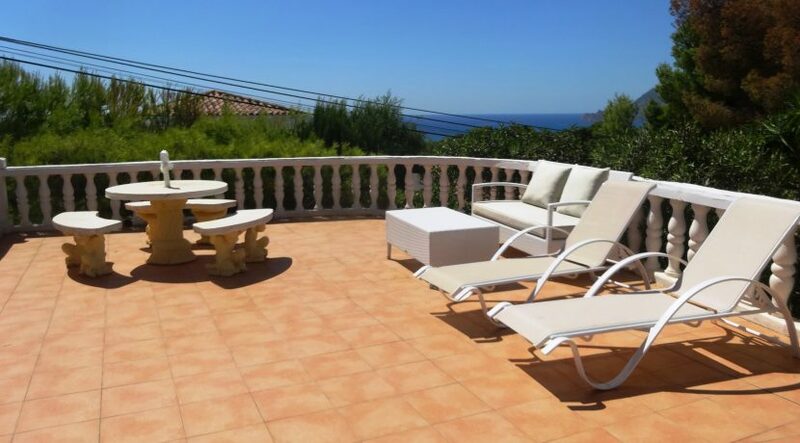 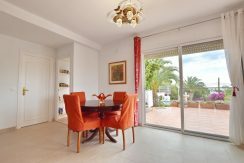 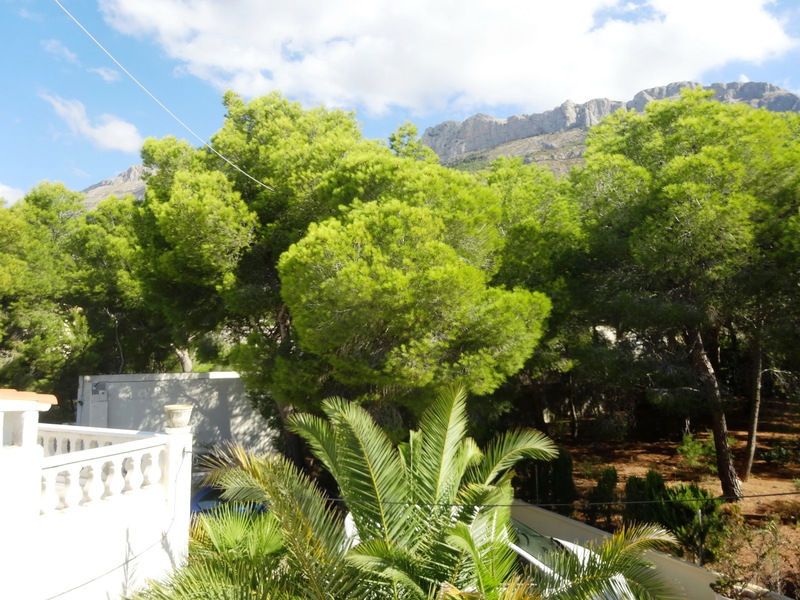 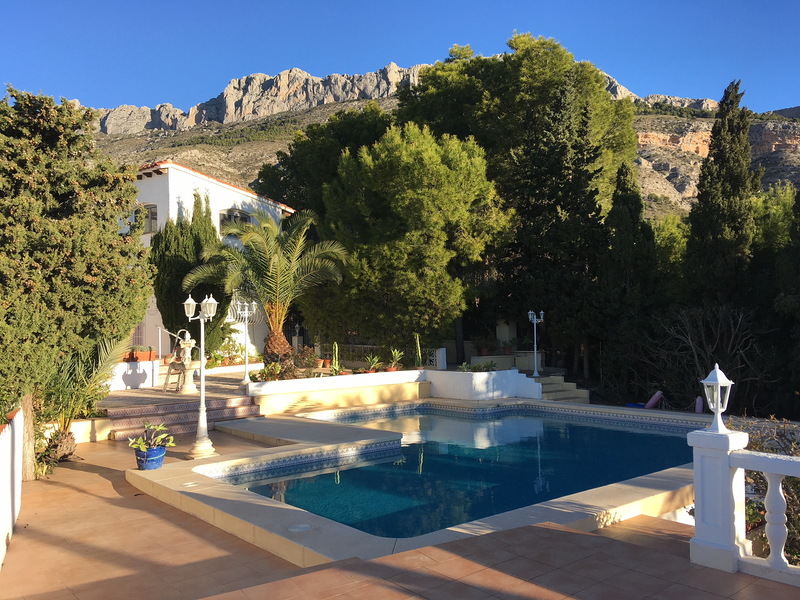 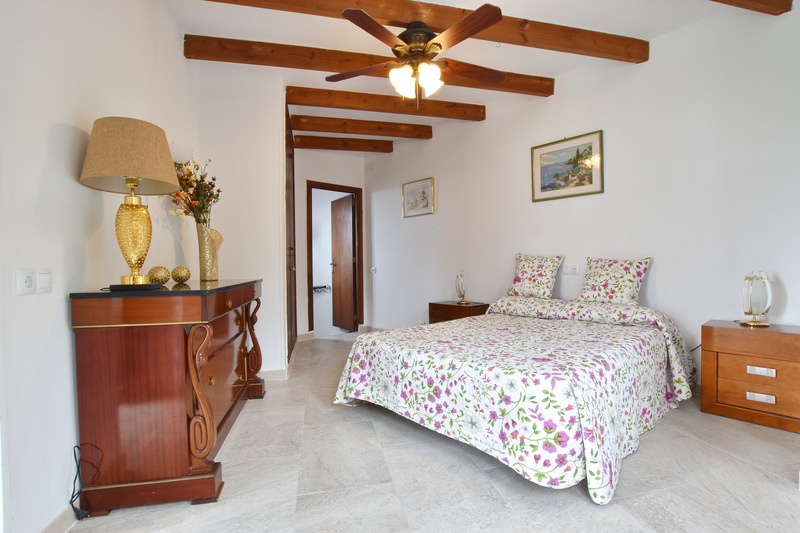 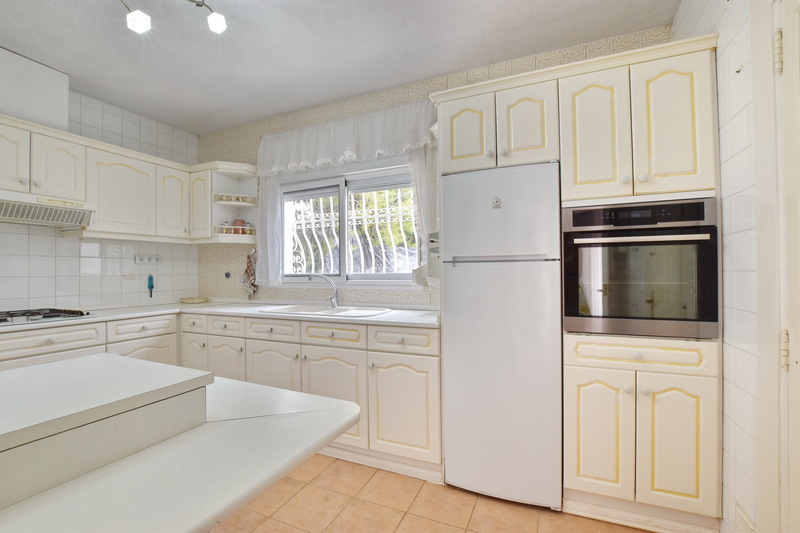 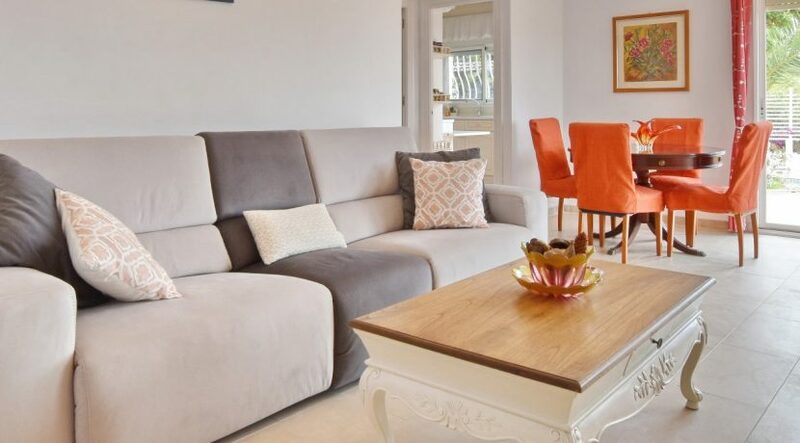 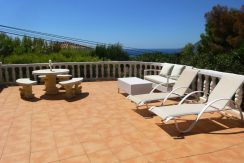 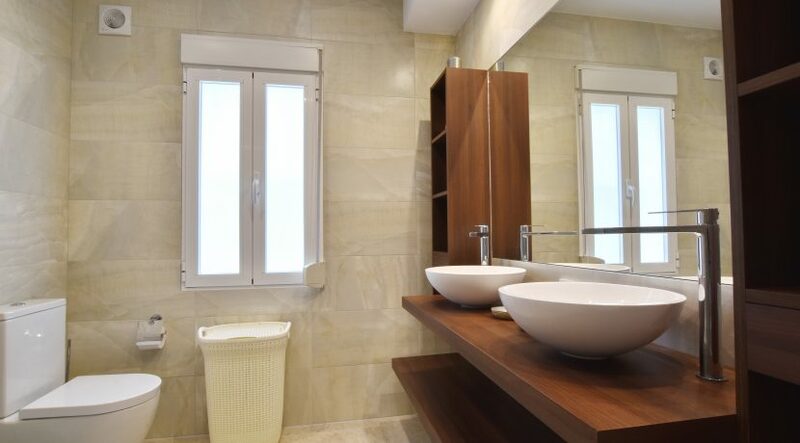 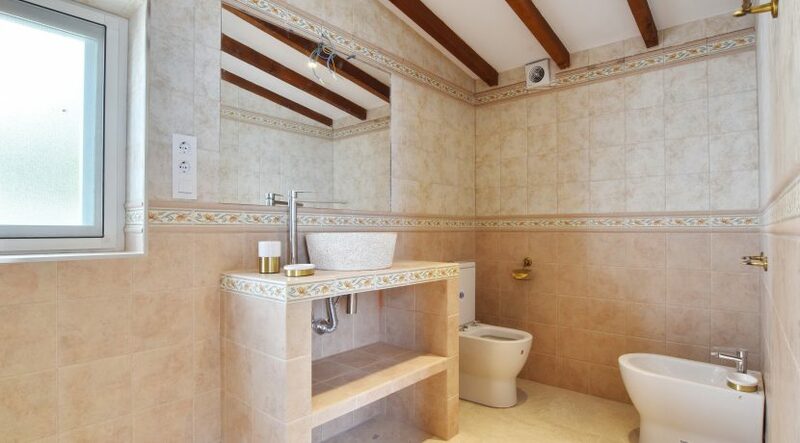 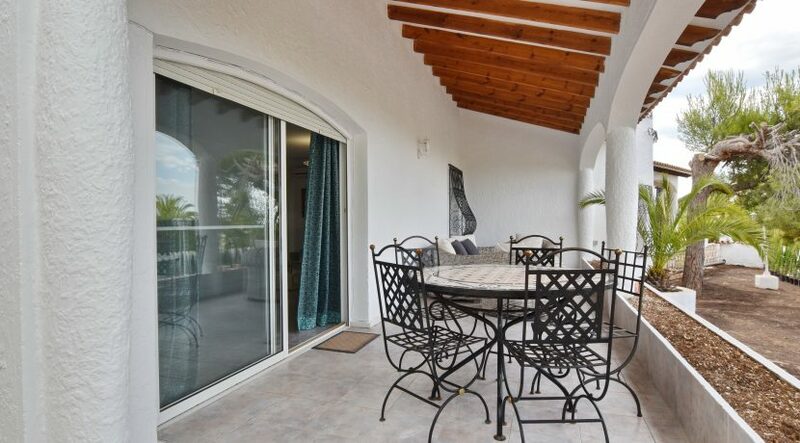 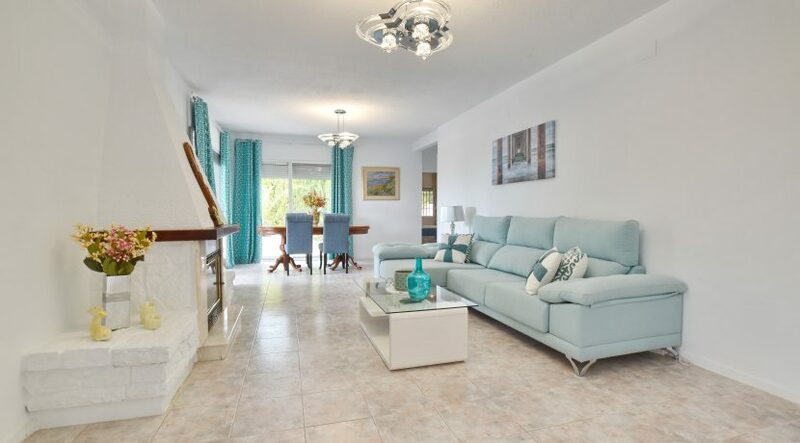 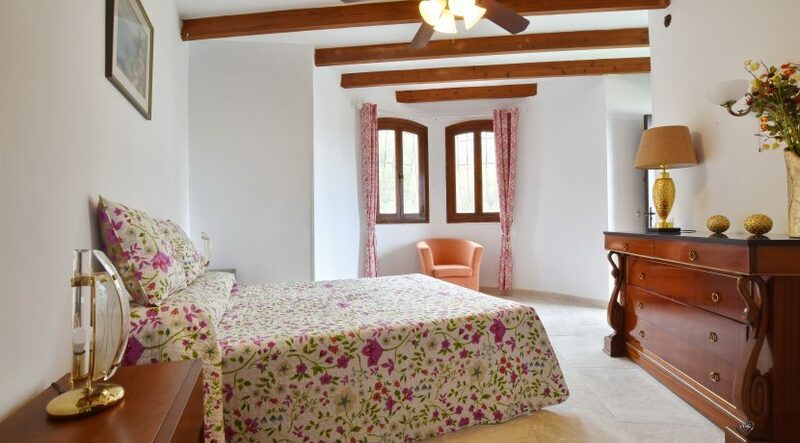 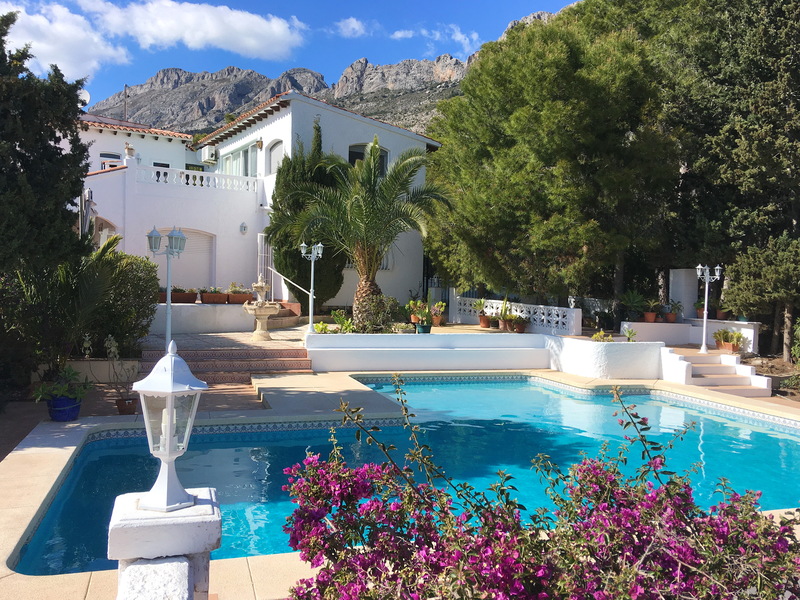 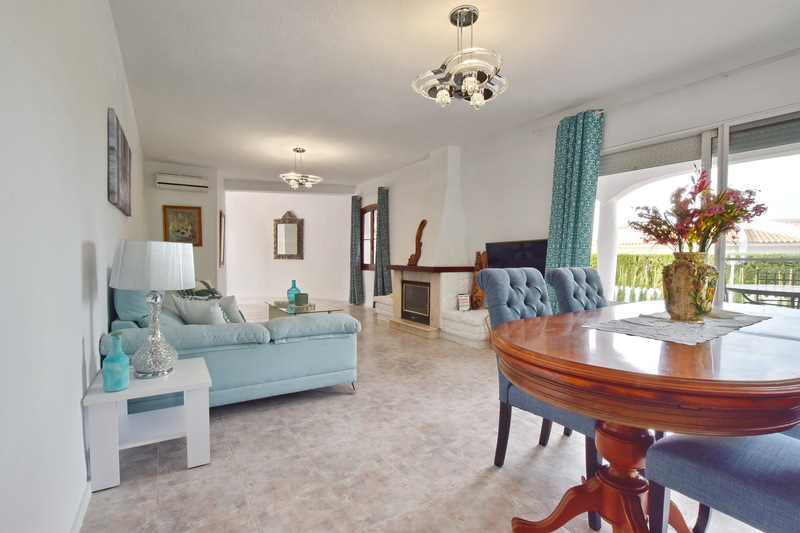 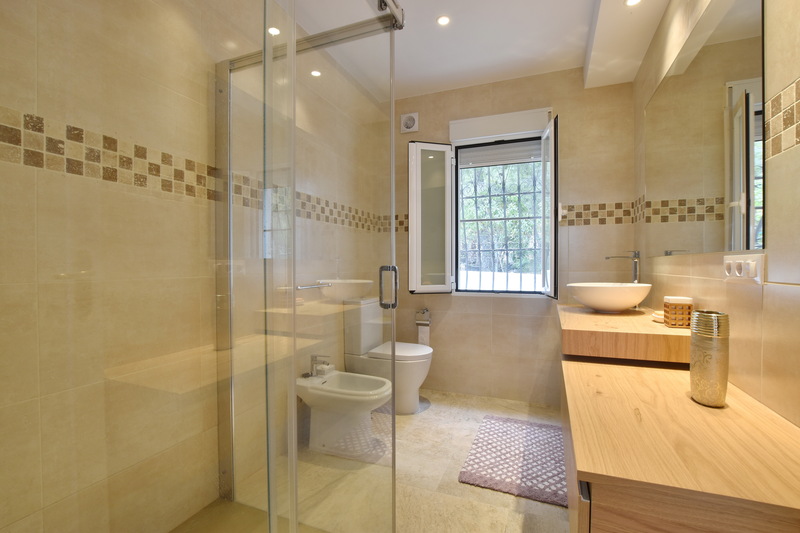 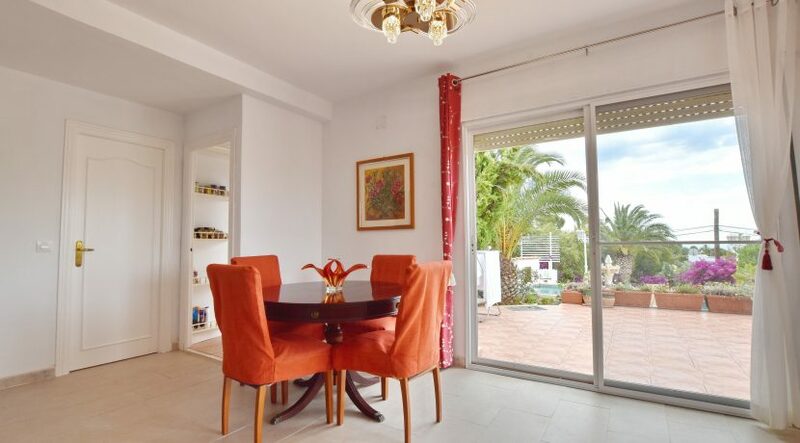 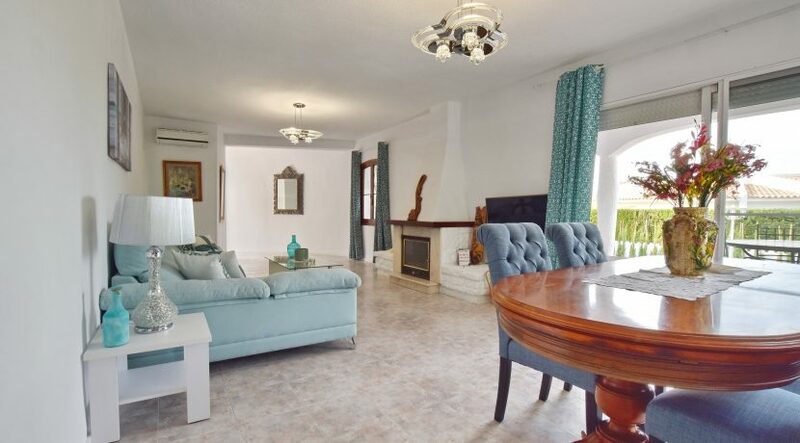 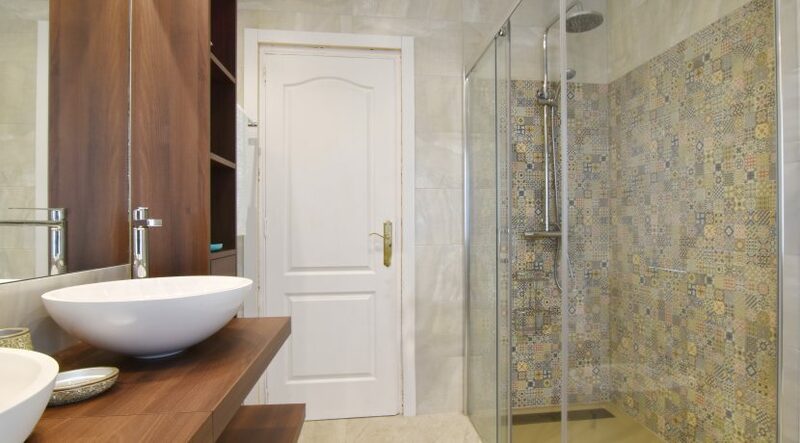 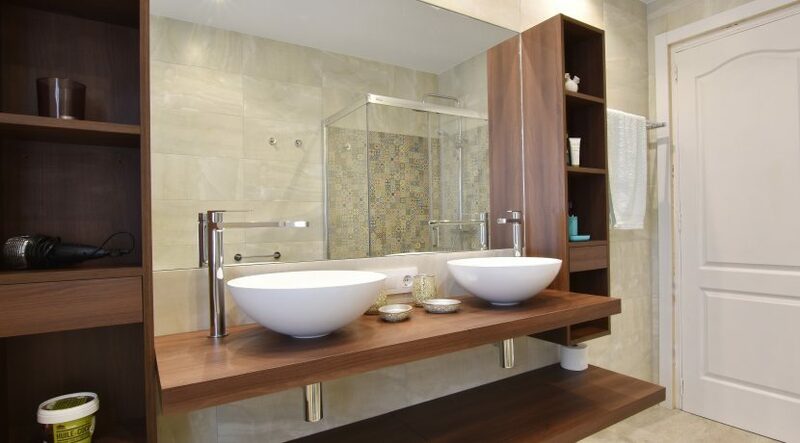 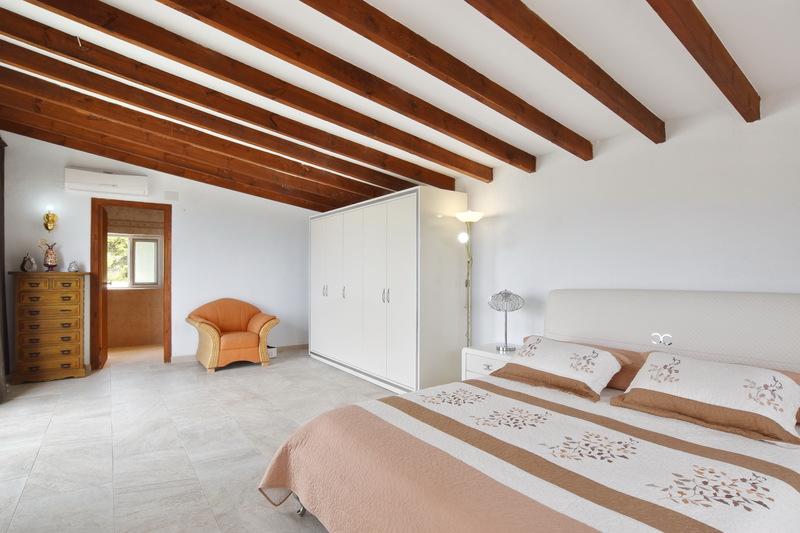 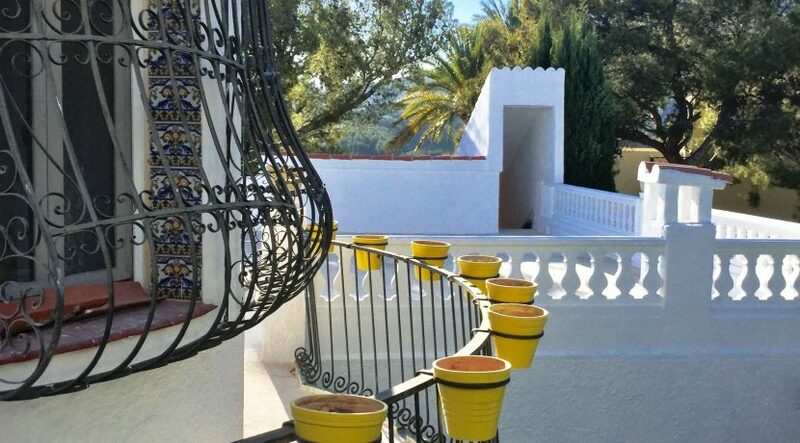 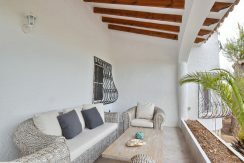 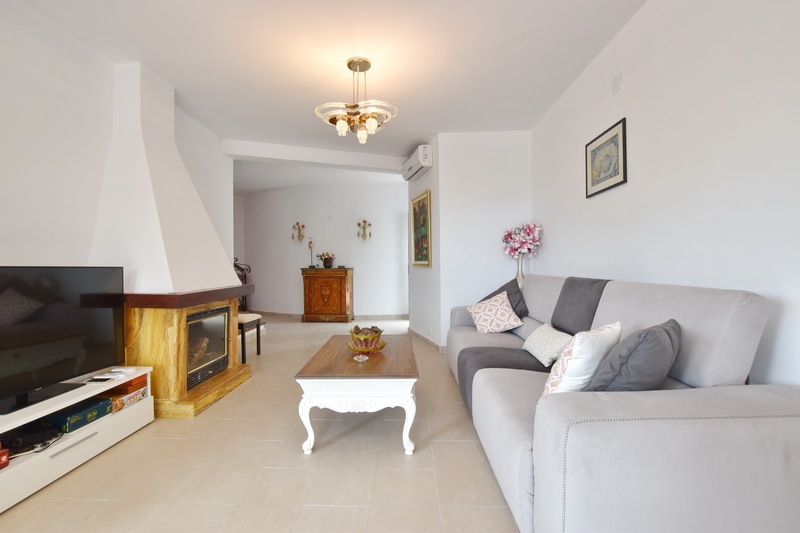 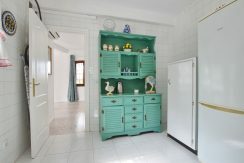 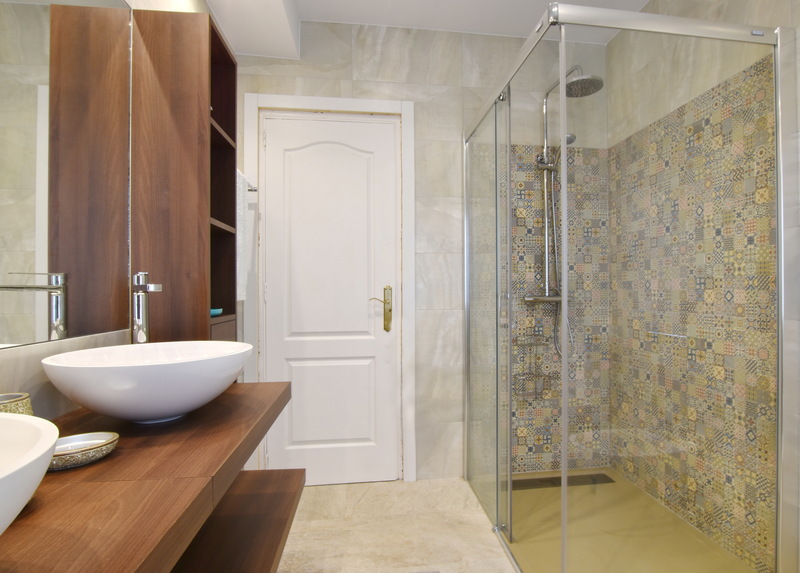 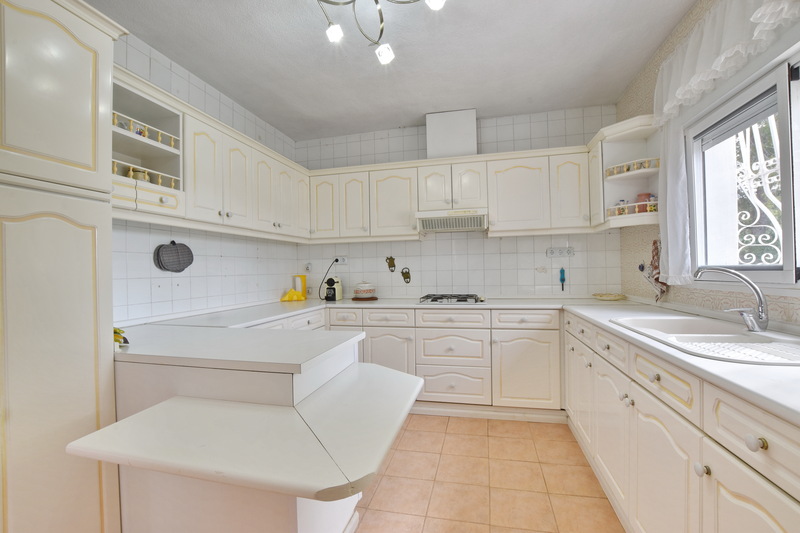 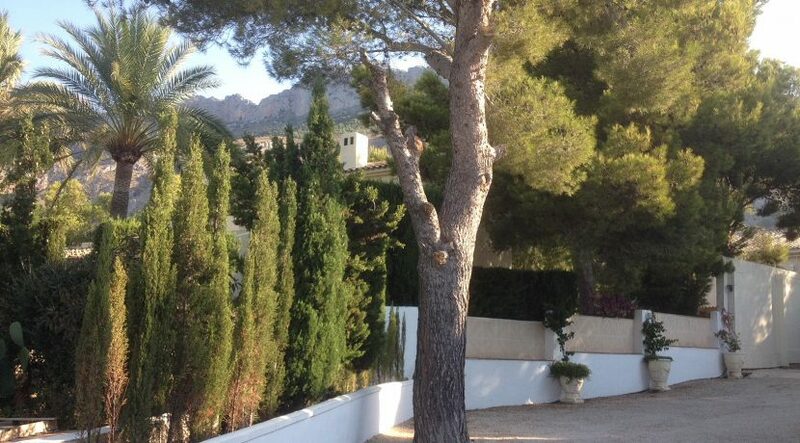 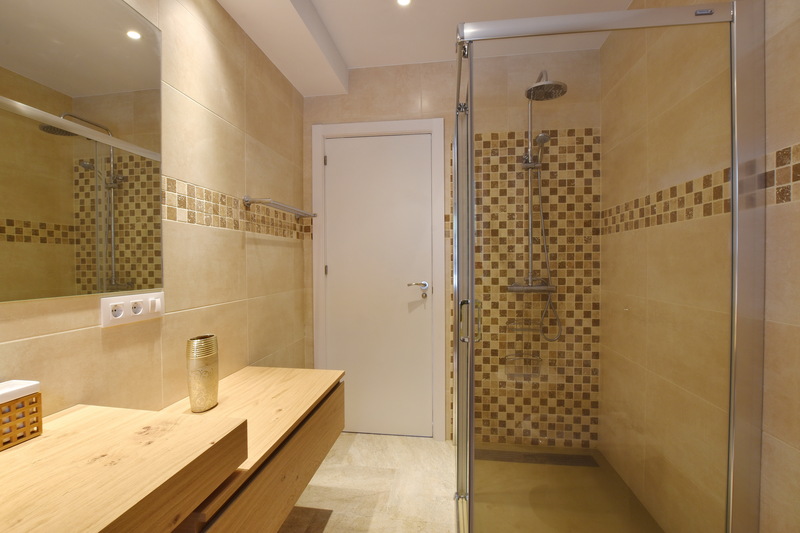 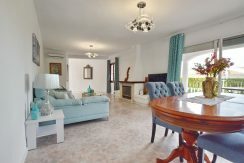 A newly renovated villa for rent in Altea la Vieja (Altea la Vella), Costa Blanca. 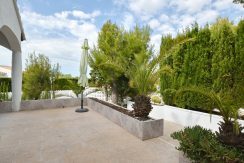 With its plot of 1500 m2, the villa offers a private pool, a large garden and many parking spaces (can fit at least 10 cars). 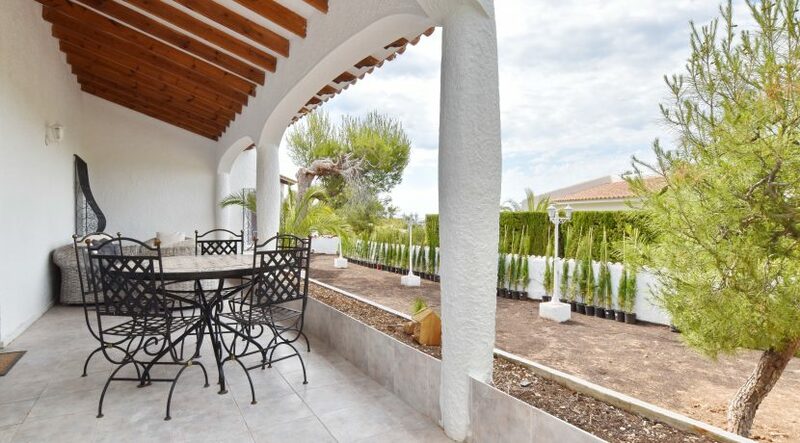 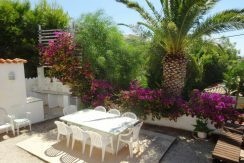 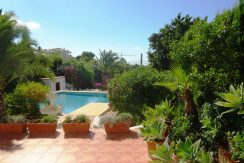 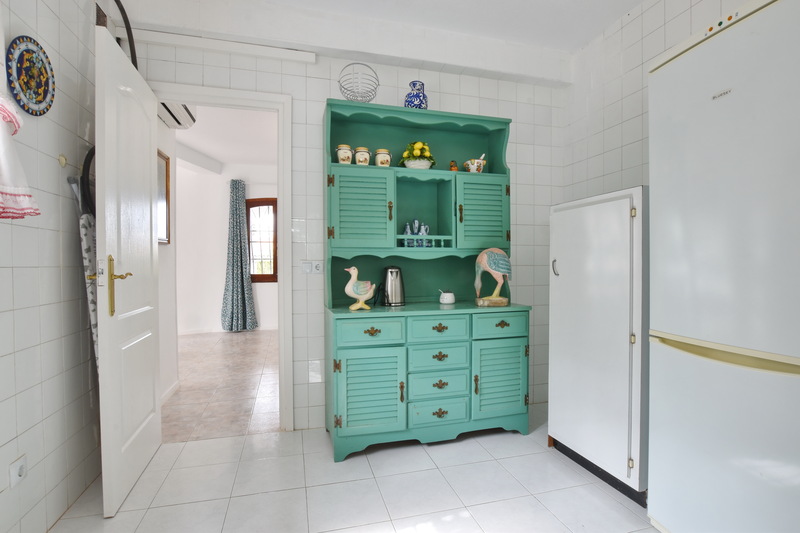 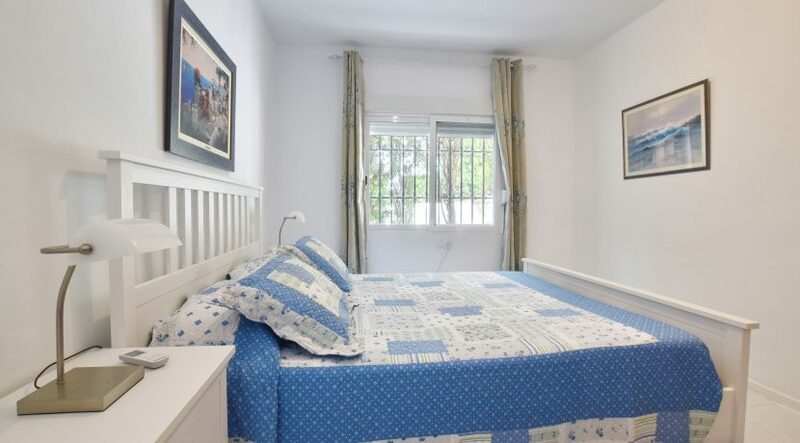 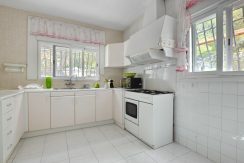 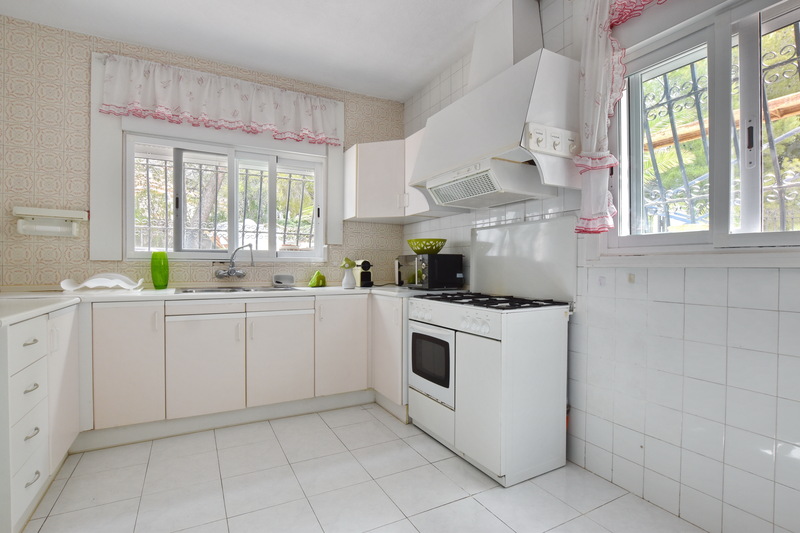 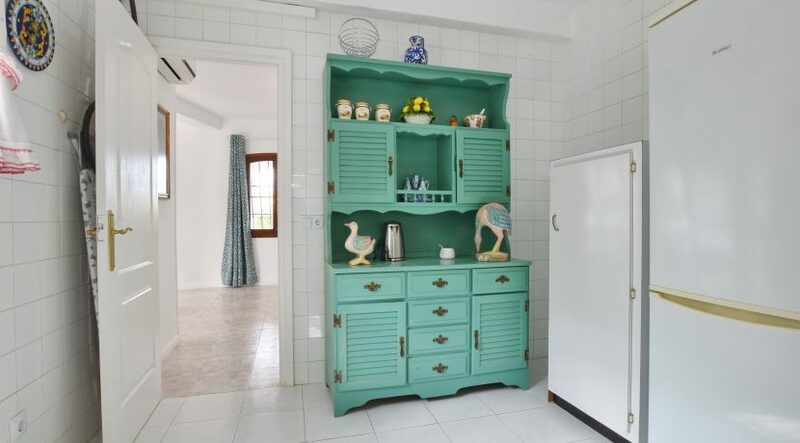 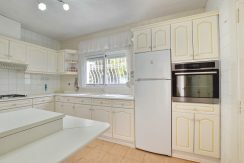 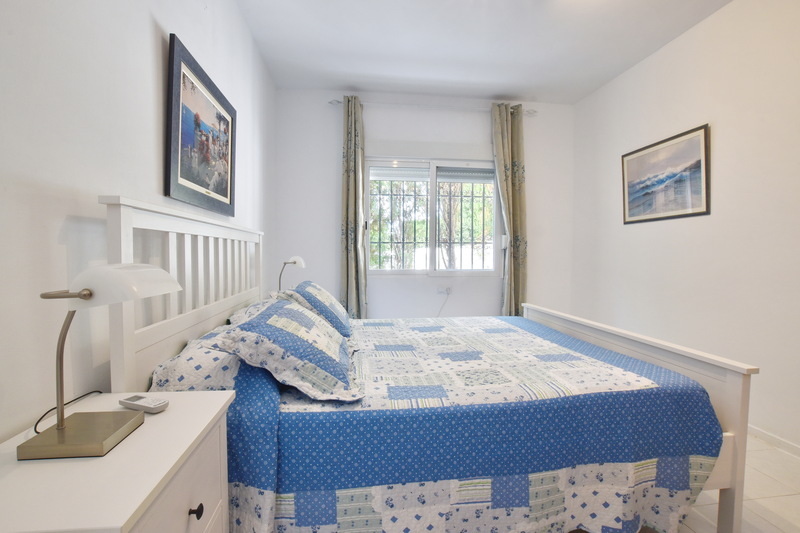 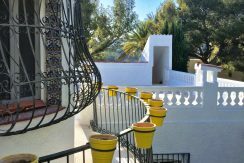 The house has 5 bedrooms, 4 renovated bathrooms, 2 kitchens, 2 dining rooms completely renovated, 2 covered terraces and several outdoor terraces with all distributed over 2 floors. 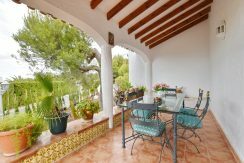 The house has panoramic views of the Mediterranean Sea and the Sierra Bernia. 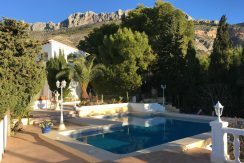 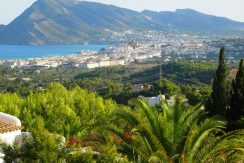 Its location is ideal for all those who want to enjoy the most famous beaches of the coast such as l’Albir beach, for example, with its clear waters and several water sports. 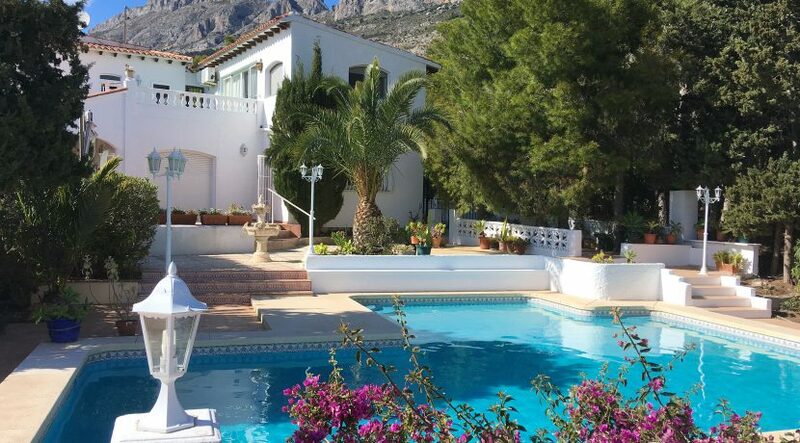 Nearby is the town of Calpe with sandy beaches and the famous Peñón de Ifach and Benidorm with its bars and clubs. 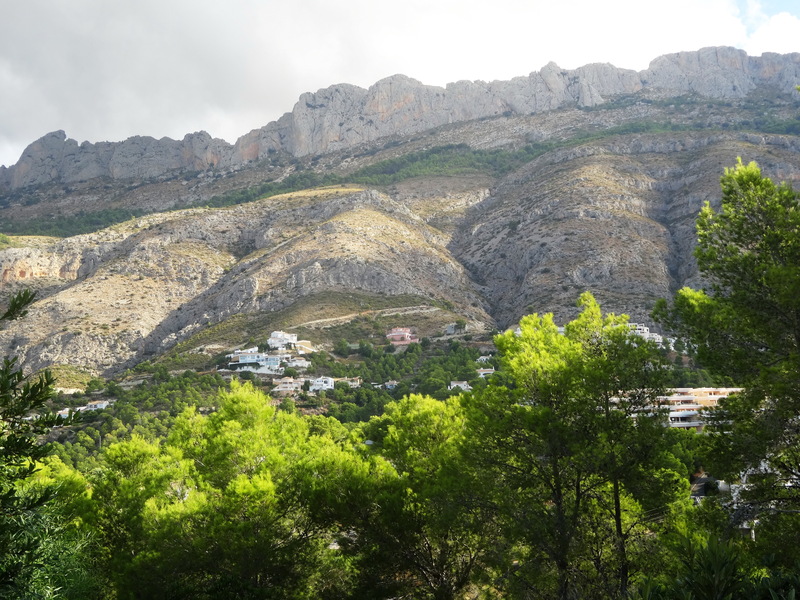 In the area there are several picturesque trails for those who want to enjoy the mountains. 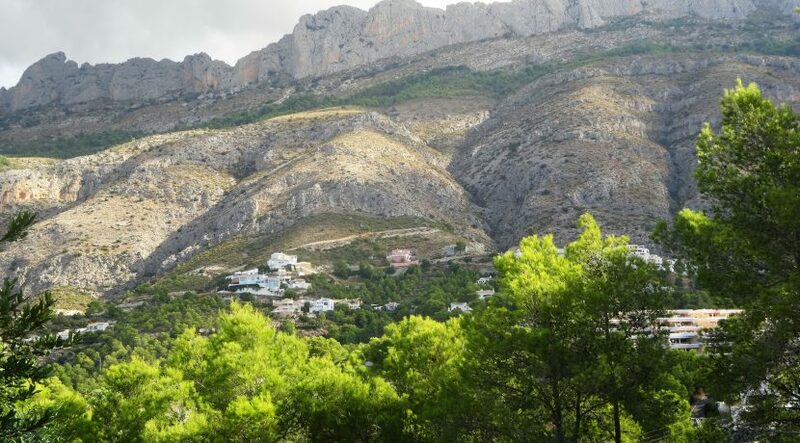 For golfers there is Don Cayo Golf Club, just 5 minutes away on foot. 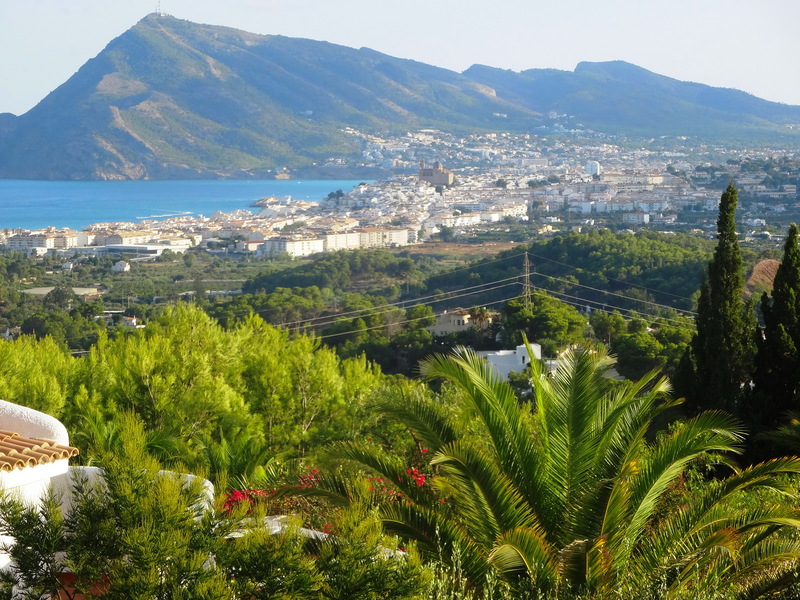 The port of Altea is about 2 km away. 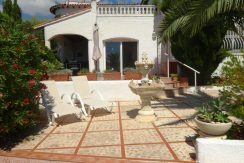 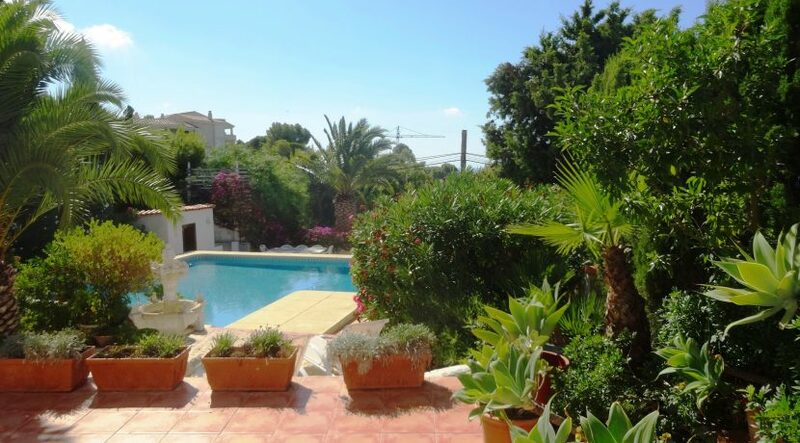 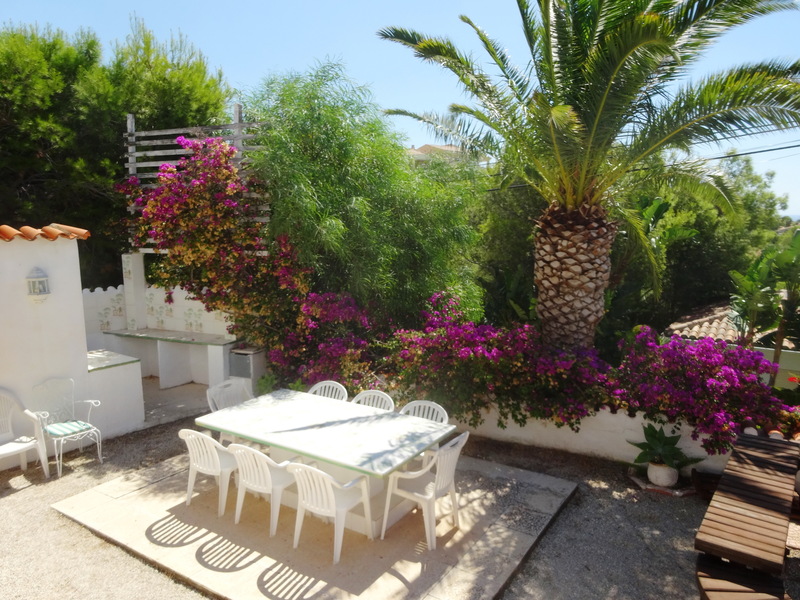 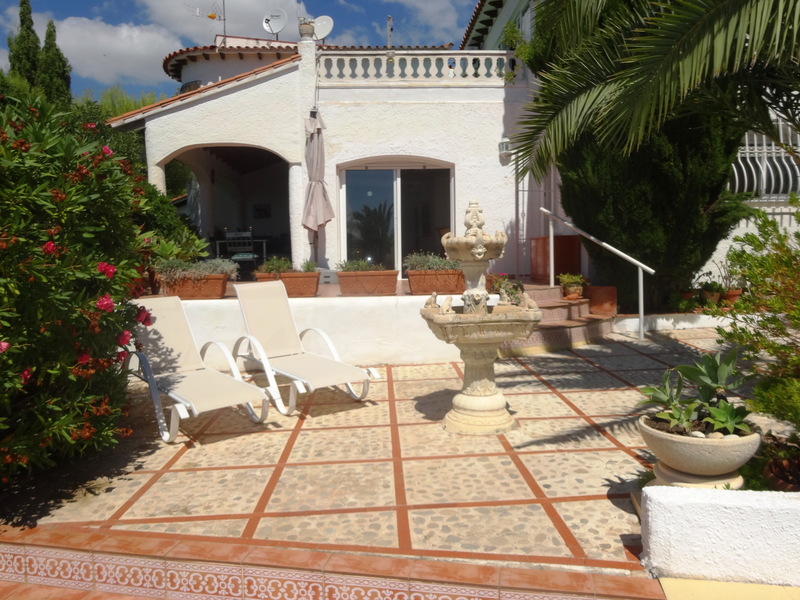 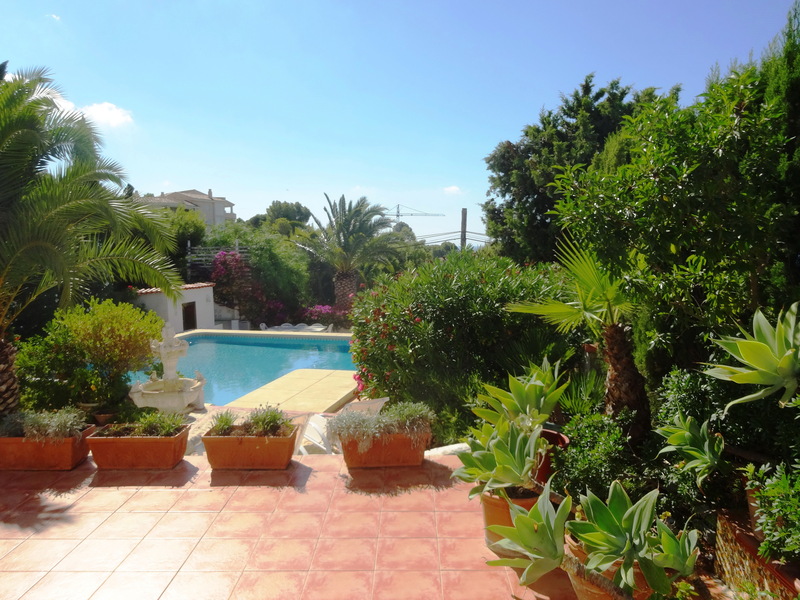 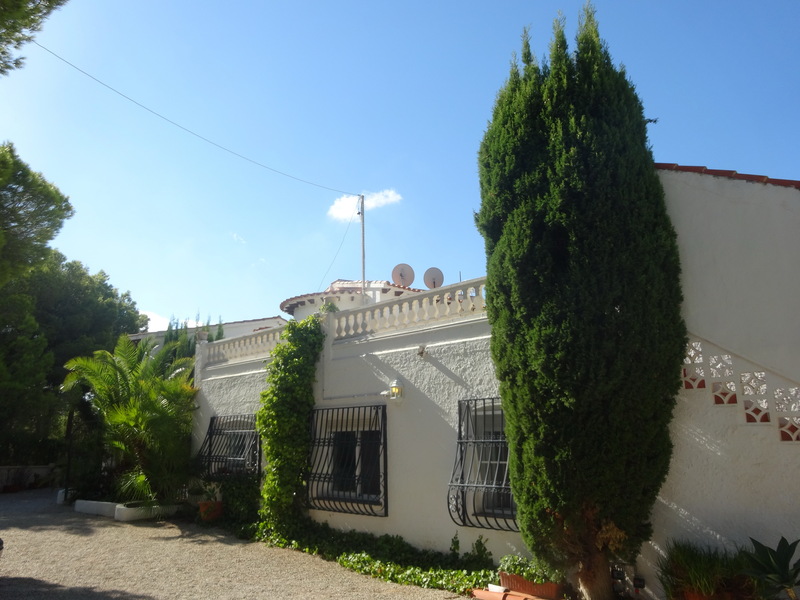 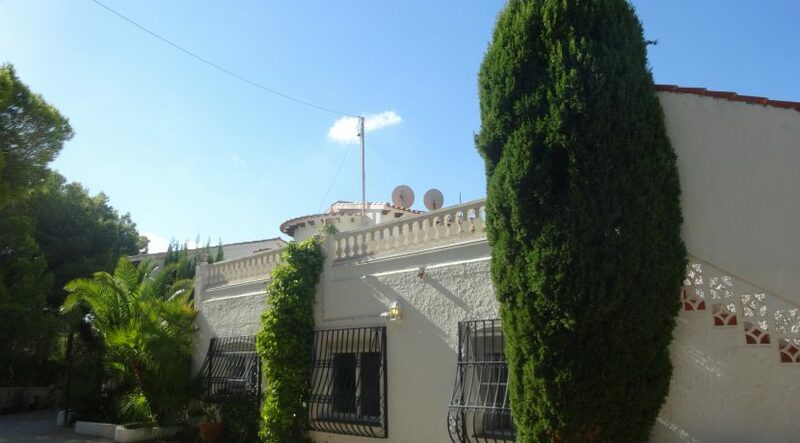 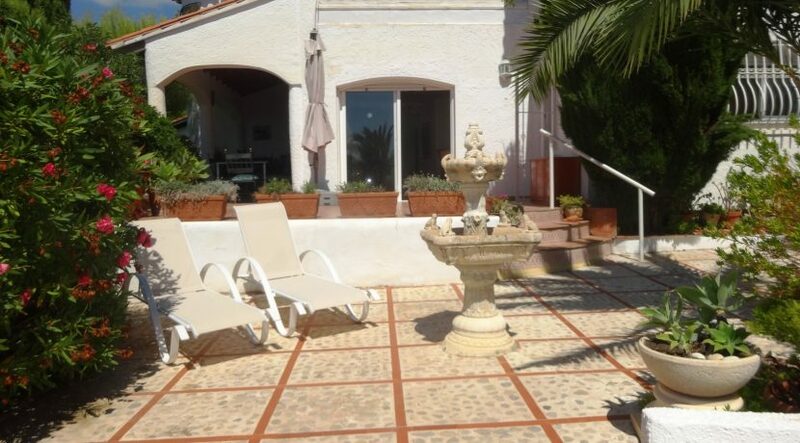 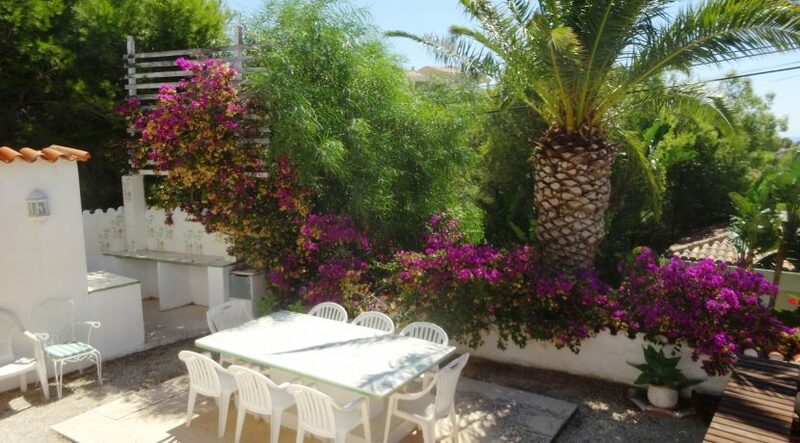 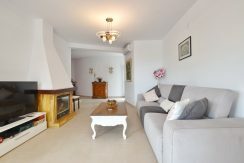 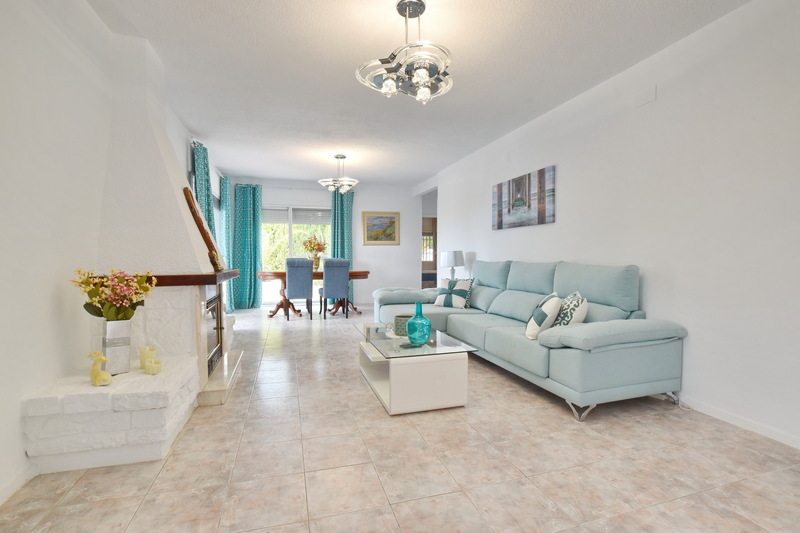 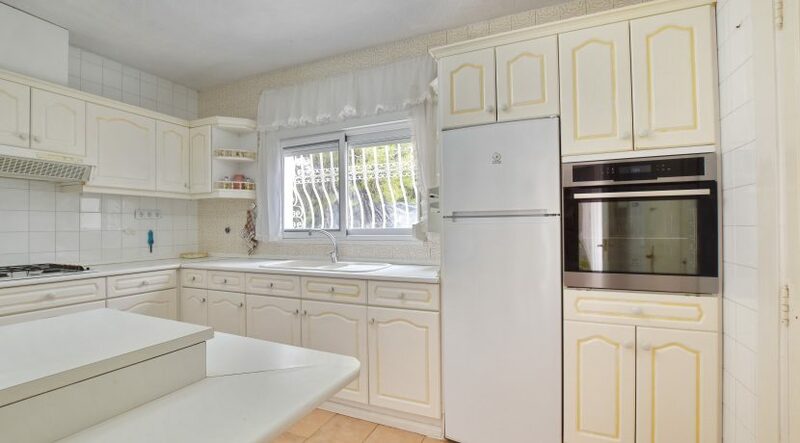 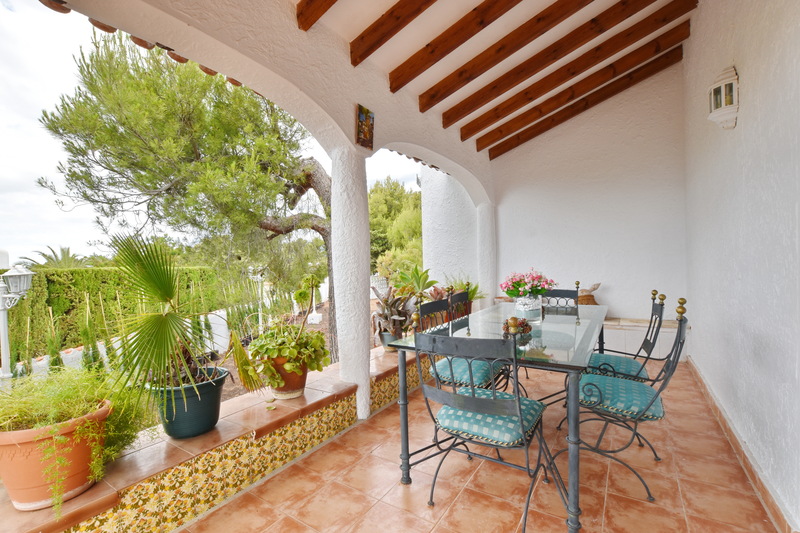 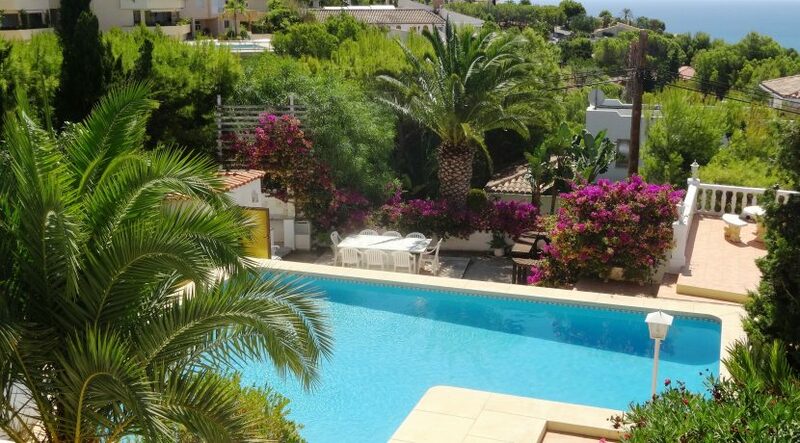 The villa is 1 h 20 m from Valencia airport and only 45 minutes from Alicante airport. 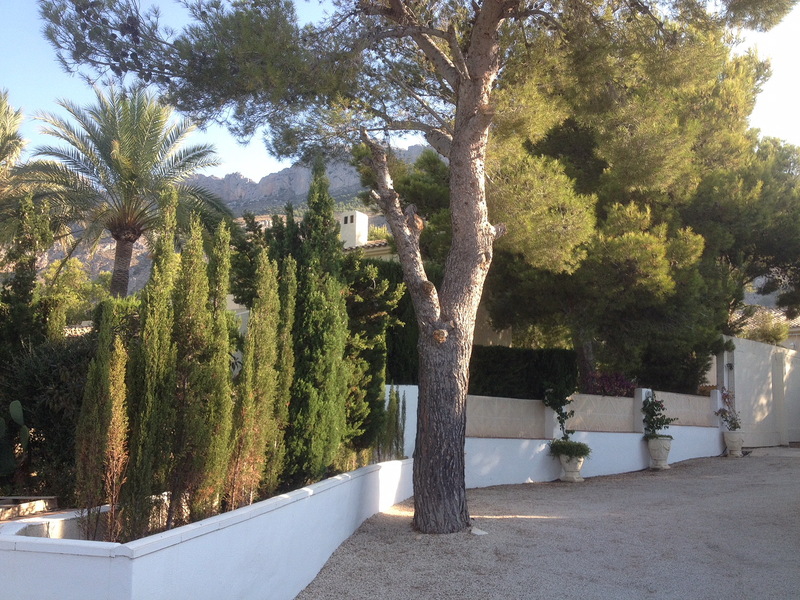 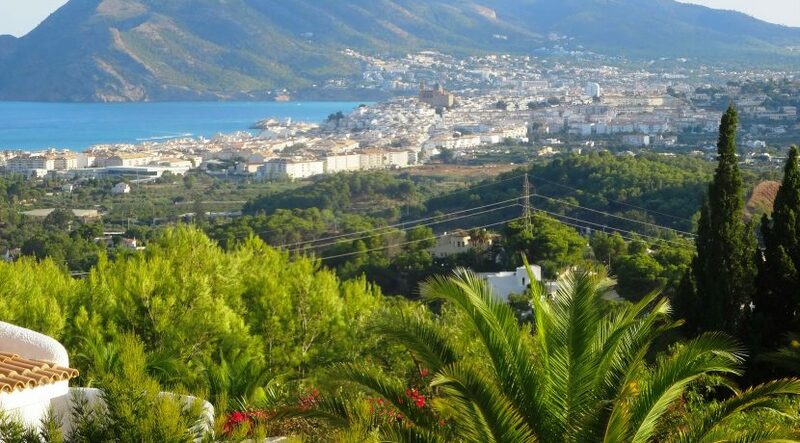 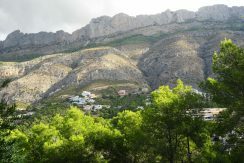 2 km away are supermarkets, restaurants and a bank in Altea la Vella. 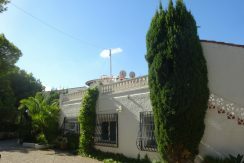 The villa is divided into two houses, each with its own entrance. 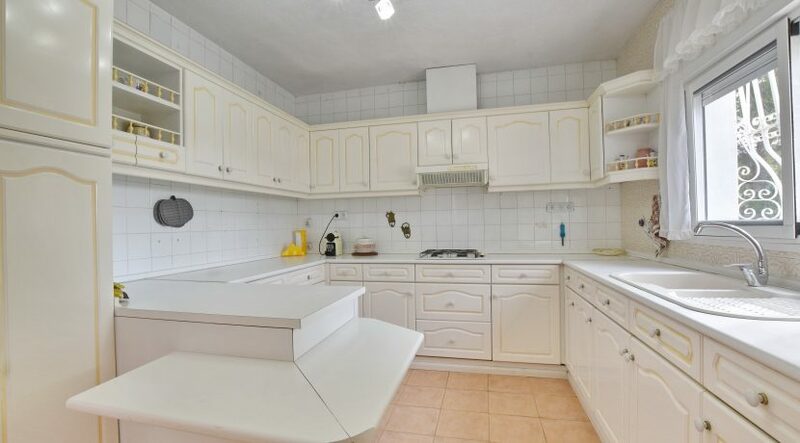 You can rent the whole house or part. 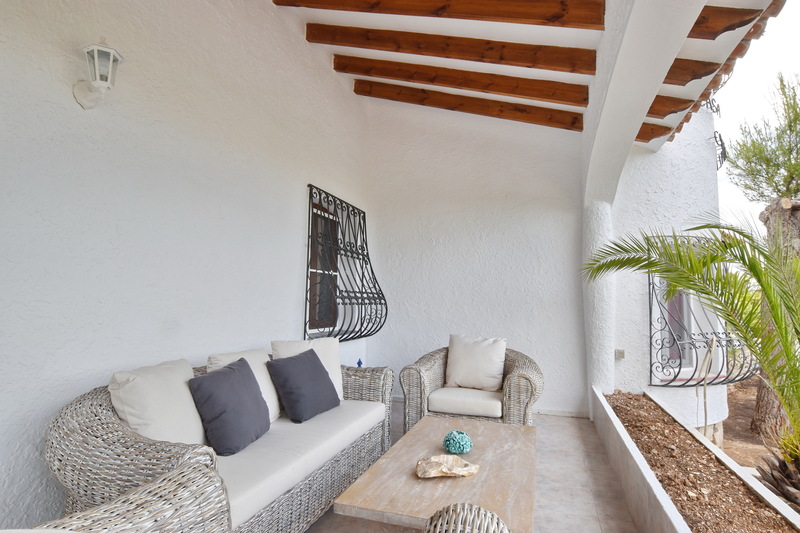 House 1 includes: 3 bedrooms with 3 double beds for 6 people, 2 bathrooms, 1 kitchen, 1 living room, a covered terrace, 2 outdoor terraces, garden, swimming pool and parking. 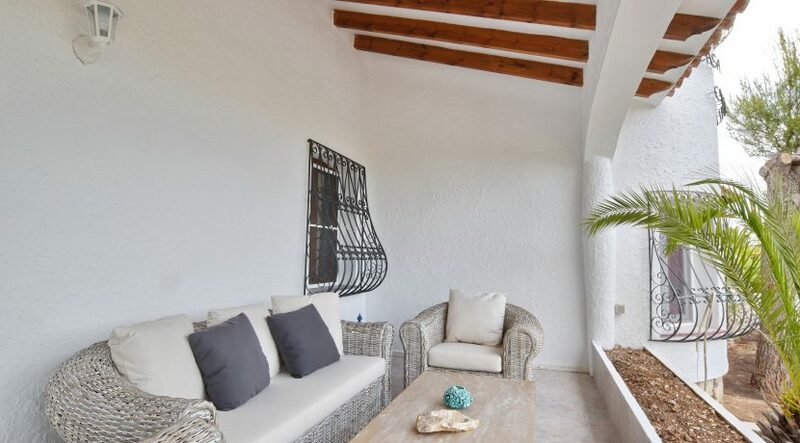 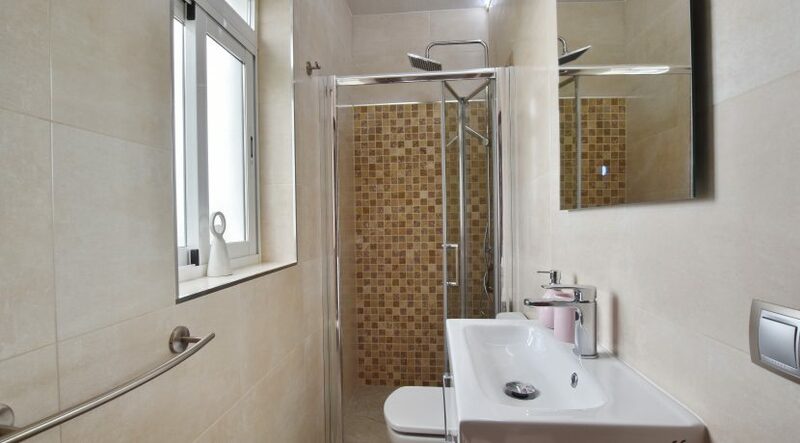 House 2 includes: 2 bedrooms with 2 double beds for 4 people, 2 bathrooms, 1 kitchen, 1 living room, a covered terrace, an outdoor terrace, garden, swimming pool and parking. Do not miss it! Book your vacation now! 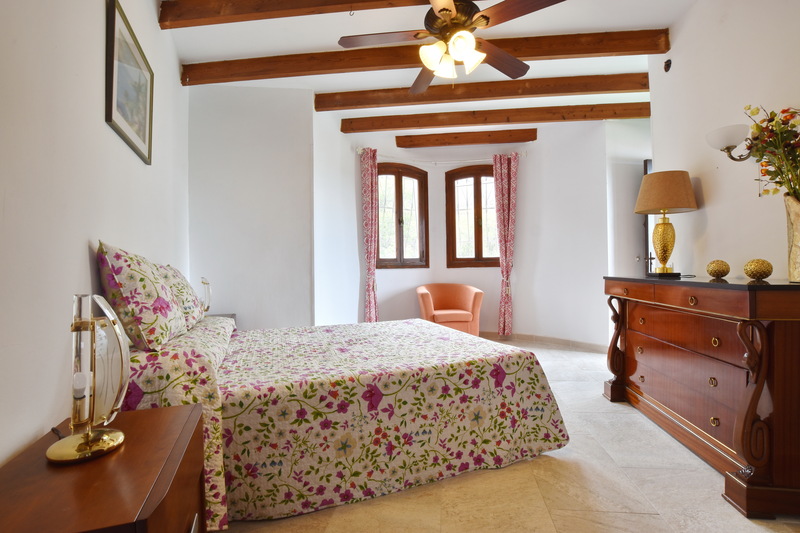 To set the travel period, click on the desired arrival and departure date in the calendar. 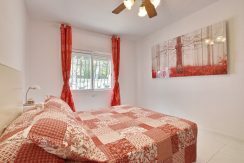 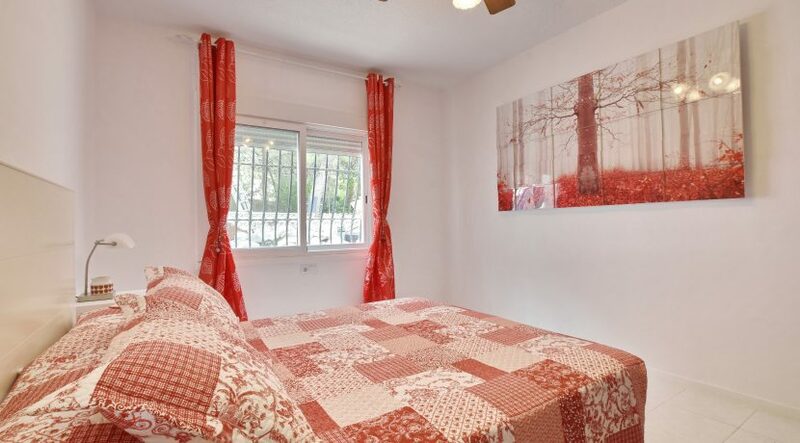 The price of the accommodation will be calculated automatically. 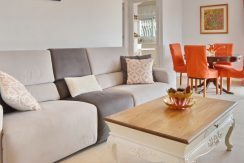 If you click on “Send Reservation Request”, you will be redirected to the reservation page and can send a non-binding request to the owner. 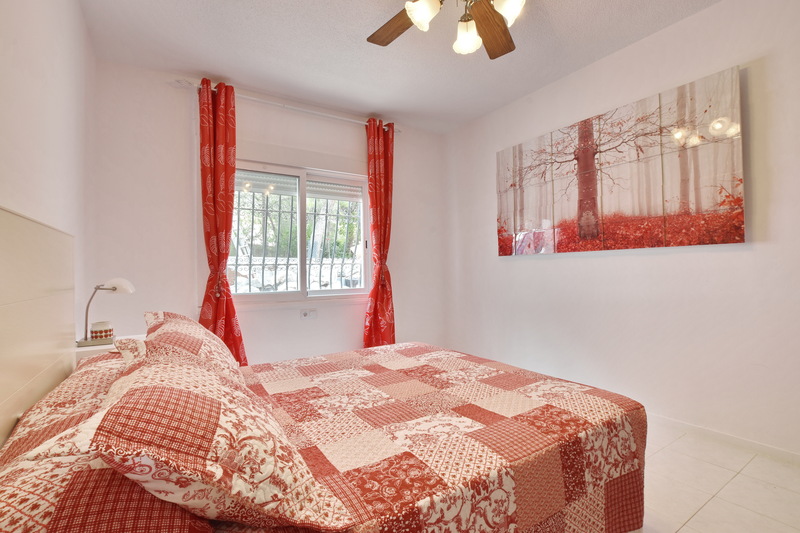 Only after checking your information will you receive a binding booking confirmation.